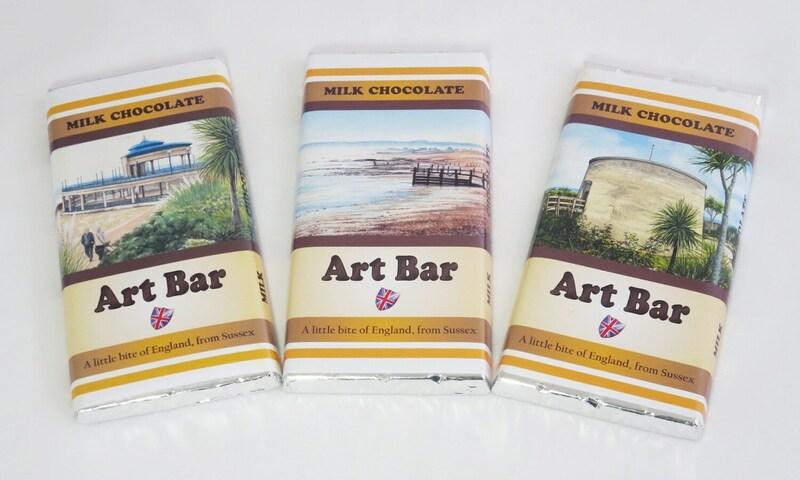 Melt in the mouth chocolate made in England, artistically wrapped by Sussex artist, Margaret Turton. This illustration features Eastbourne Bandstand in East Sussex. 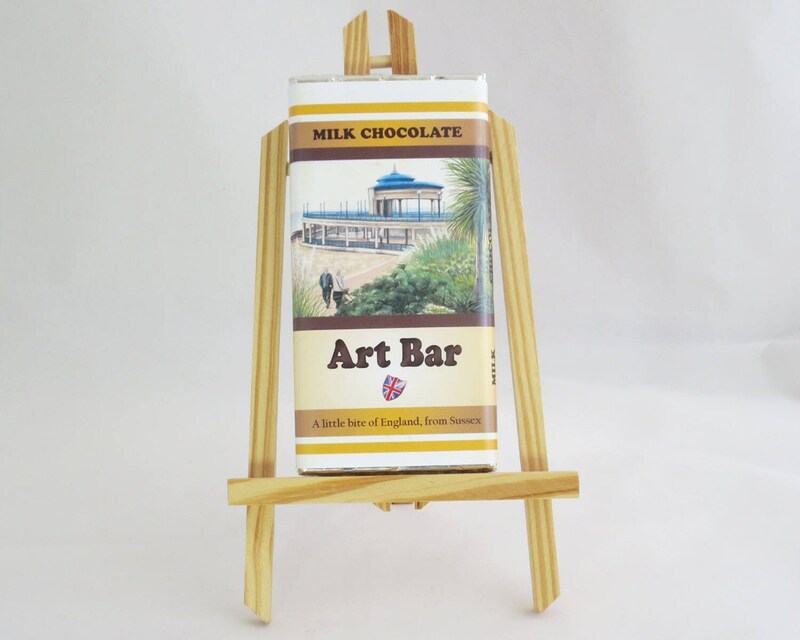 A little bite of England from Sussex! Milk Chocolate 33% Min Cocoa, 21.8% min milk solids, sugar, cocoa butter, full milk powder, cocoa mass Emulsifier E322 (Soya Lecithin) Vegetable Oil, Natural Vanilla. 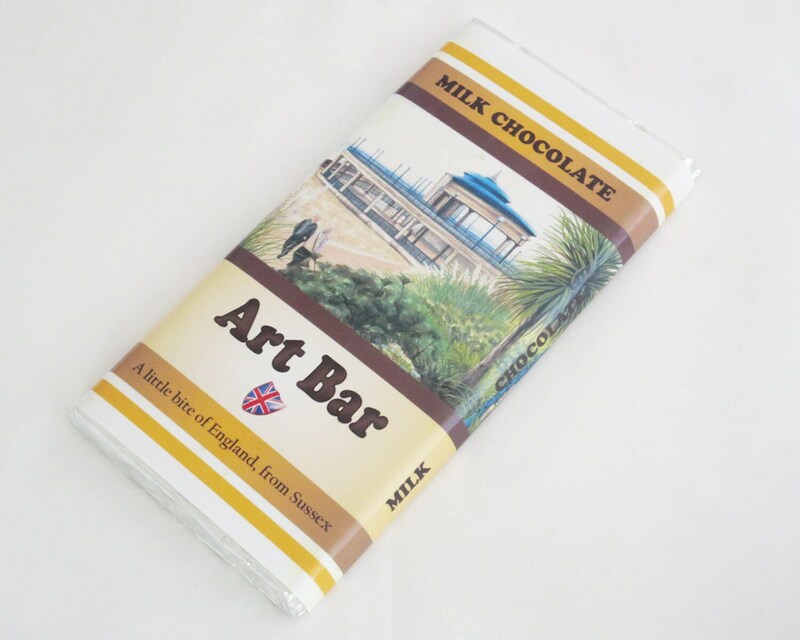 Wrapper design can be customised for your business or event.